After three days of overindulging I felt that I needed to eat something healthy and so I made my Raw Autumn Kale Salad. Super simple and full of nutrients...all the good stuff your body needs to keep healthy through the holidays! 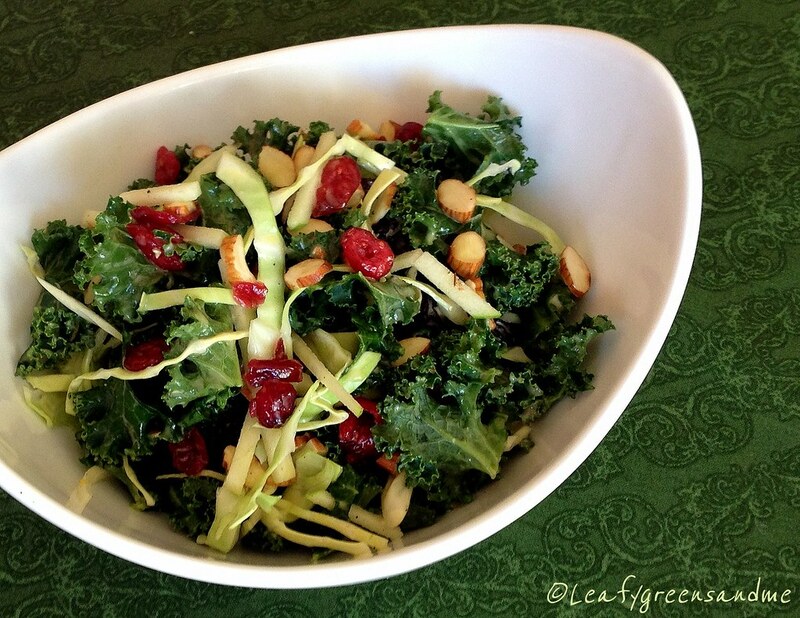 You can add whatever ingredients you like, but I added chopped leafy kale, shredded green cabbage, julienned apples, dried cranberries and almonds. I tossed the salad with a vinaigrette made of sour oranges, sherry vinegar, maple syrup, minced shallots and grapeseed oil. Really delicious!